Blessing Israeli Believers exists to bless and uniquely empower Israeli believers in Yeshua to be the Shining Light to Israel and the Nations of the World. to save as many Israeli babies as possible from abortion in Israel. Will you help SHARE THE HOPE? Thanks so much for being a part of the wonderful crop of new babies this year at Be'ad Chaim. 180 babies came into the world who may never have been born without the grace of God and the help of friends like you! Through your generosity to Be'ad Chaim, through Blessing Israeli Believers, you played a critical part in the survival and care of these precious children. Your donations helped us to provide baby beds, strollers, bath tubs, sheets, diapers, formula, clothing and countless other necessities through our sponsorship project. A vast majority of our new moms are very poor, living on less than 00 a month. They are unable to pay bills and don't have the resources to provide adequately for their new babies. Your generosity makes it possible to help them practically by providing these needs. Just today, a young 29 year old mother, pregnant with her third child, told us that she and husband live with his mother in a small apartment. They share the bedroom with their two children. Their monthly income is very low and they have many debts. 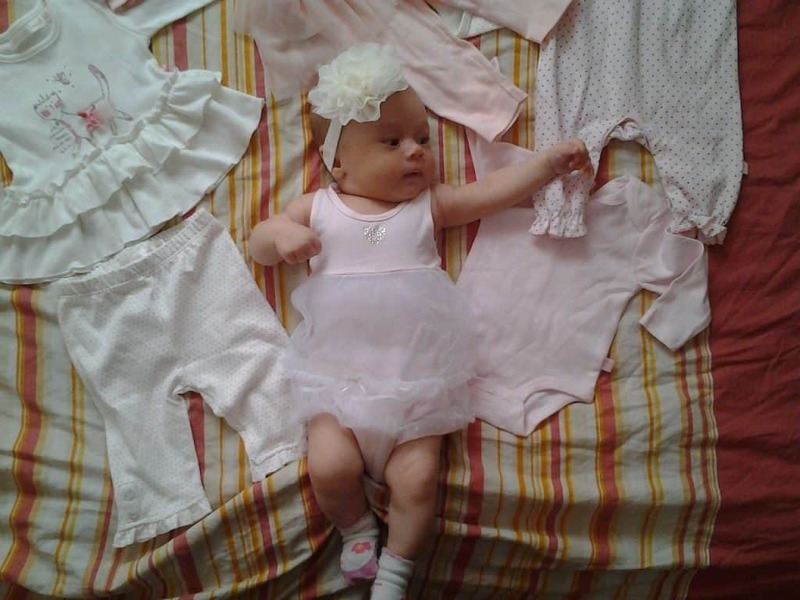 She had been considering abortion in this 12th week of pregnancy. I asked her what she thought about abortion: "I think that it’s a shame because it's kind of alive, kind of has a soul and it would be a shame to take its life, but I don't see how we can manage with another child." When we told Zelda that we'd help her through our Operation Moses project with all of her baby's needs for a year, she was deeply grateful and relieved. She agreed that the baby isn't KIND OF ALIVE, but is REALLY ALIVE! You, my partners, make it possible for us to offer Zelda, and hundreds like her, the help and hope that they so desperately need. I can't thank you enough for being a vital part of our work. Be'ad Chaim is a national non-profit organization dedicated to the protection of the the mother and the unborn child. It began when several Messianic believers and Christians took note of the very high number of abortions in Israel. In the early '80's , these believers began praying about the situation, realizing that every fourth pregnancy was terminated by abortion. They believed, as we do today, that the fullness of God's blessing on our Land will not be realized until we stop the atrocity of the shedding of innocent blood. In 1988, Be'ad Chaim officially became a non-profit organization recognized by the state of Israel. Offices were opened slowly around the country over the years, and today we are national. We have saved babies from Kiryat Shmoneh in the north to Eilat in the south. Actually, the Eilat office is our newest office and opened this year. Already three babies have been saved there. hold back those staggering toward slaughter. 12 If you say, “But we knew nothing about this,” does not he who weighs the heart perceive it? Does not he who guards your life know it? Will he not repay everyone according to what they have done? Sandy believes that it is the responsibility of each believer to respond to the Word of God according to God's direction in their lives. She was not able to remain passive about abortion when she realized that babies are the heart God, and He grieves at the loss of each little one. Be'ad Chaim is grateful to each person who chooses to partner with us to save the lives of the innocent babies in Israel. Each year, an estimated 40 thousand babies are aborted in Israel. “I was deep in debt from searching for work. I was scared, alone,and having a rough time with the idea of having a child while unmarried. My friends said it was normal to find a clinic or talk to a helpline to hear what my options are. When I called the pregnancy helpline, I immediately felt comfortable. My reassuring counselor helped me make the decision to raise the child alone. From about six weeks into the pregnancy and until the birth I called her with all my issues... When the stress of being unemployed and pregnant intensified I knew I was not alone... This gave me unbelievable strength. With the security of knowing my baby would have clothes, a bed and all the items I could never provide on my own, I felt dignity and hope - I knew my baby would not lack what he needed. After my son was born, I arrived home from the hospital to be greeted by volunteers who brought me the gifts that gave me such confidence to continue onwards. Since 2005, Be’ad Chaim (Pro-Life Israel) has been helping women like Bentzi’s mother make life-honoring choices with the help of a special project called Operation Moses. Baby supplies for each new mother that she will need immediately after the birth of her baby such as a baby crib, carriage, bath, and changing table. Quarterly delivery of appropriate baby clothes. Monthly provision for ongoing baby needs such as diapers and baby formula. Monthly support group meetings for moms who have chosen to keep their babies. Alexandra is now 6 months old and is developing very well. She has just started to wean onto pureed fruit and vegetables and loves the different tastes. She sits alone and loves to be surrounded by her toys so she can play and play. Xenia works fulltime and is not in touch with the father of the child. He didn’t want to help or be in contact at all. She lives alone with her other son who is now 13 yrs old and is a great help to his mum. She wanted to say to those who are helping her that she is very very grateful. Without your help she would not cope with all the bills etc. 'Please continue to pray for us here in Eilat'. Baby Anna-el just turned 1 year old on March 26th, 2014. She is a very happy little baby and healthy too. She walks alone now and has grown 5 teeth. Tehilah is doing fine and feeling ok. She works five days a week and is trying to support herself. Although this is not an easy task, she is working on her independence. Anna-el's biological father visits her when he can but can't help financially. Tehilah lives with baby Anna-el and her parents help with babysitting when they can. Tehilah would like to thank you for allowing her to have baby Anna-el. She loves her so much and wouldn't change anything. Baby Adelle just turned 1 year old on April 5th, 2014. She is very healthy and developing normally. She has two front teeth already and is often in pain. She crawls really fast and stands up on her own but hasn't started walking yet. Hannah is doing ok health wise, but she is exhausted. She never has any time to herself and is constantly taking care of her babies. She has baby Adelle and another two year old. 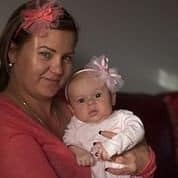 There is no connection with the father of baby Adelle and there is no support either. She was on good relations with her parents but since an argument a while back, they haven't been in touch. Hannah wants to thank you for all your support and care—it has been extremely encouraging.